We are thrilled to offer SLES families the opportunity to take a field trip to Richmond on April 5th! Check out the field trip details below as well as important registration information. Chaperones/supervision will not be provided. Each child must have his/her parent or guardian present for the entire field trip. The only exception is if another parent is already attending the field trip with their child(ren). If so, that person may be appointed the chaperone for another student upon approval from the other student’s parent or legal guardian. The maximum number of children that one adult may chaperone is three unless the adult is the parent or legal guardian of every child under their care. In other words, if you have more than three children under your care for the field trip, you must be the parent or legal guardian of all of the children. Cost is $50.00 per person and includes chapter bus transportation to and from Richmond VA and tour. Please bring a lunch and drink with screw cap to have at a site during the field trip as well as snacks. Please bring these items in a backpack (no rolling bags). A lightweight string backpack is permitted. Comfortable shoes and appropriate dress is encouraged. You may bring an additional bag to leave on the bus; however, please do not leave any valuables as SLES PTA is not responsible for any items that are lost or stolen. Please be prompt as we can not wait for anyone. No exceptions. We will have limited amount of seats; however, we do need to fill all seats for the tour to happen! Please sign up here. Email president@slpta.org with any questions. Be sure to purchase a separate ticket for each child and adult attending the field trip. St. John’s Church is Richmond’s oldest church and the site of Patrick Henry’s “Liberty or Death” speech.Voted Best in the U.S. by Lonely Planet. Virginia State Capitol, designed by Thomas Jefferson, is the home of the Virginia legislature since 1788, as well as the Confederate Congress during the Civil War. It is noted for its interior dome and life size marble statue of George Washington by the French sculptor Houdon. 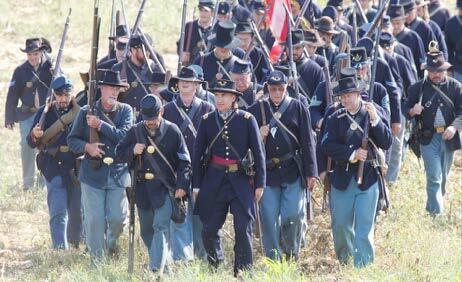 Life of the Civil War Soldier, with a full display of Civil War artifacts, our Soldier will educate and entertain your group as they learn about the life of the common soldier. From a demonstration of the use of flags and drum signals on the battlefield to life in the camps, including food, music, games and personal entertainment, our soldier presents a complete picture of the average enlisted man in the Civil War. Add to this a healthy dose of humor and you have a program that your group will long remember! Tredegar Ironworks, headquarters of the Richmond National Battlefield Park. Here the students learn what was involved in being part of a Civil War cannon crew. Monument Avenue which has a tree-lined grassy mall dividing the east- and westbound traffic. Monument Avenue is listed on the National Register of Historic Places as a National Historic Landmark District. 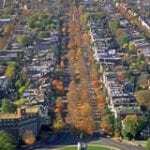 In 2007, the American Planning Association named Monument Avenue one of the 10 Great Streets in the country. 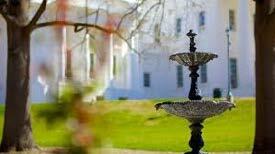 The APA said Monument Avenue was selected for its historic architecture, urban form, quality residential and religious architecture, diversity of land uses, public art and integration of multiple modes of transportation. Please note, the tour operator has the right to change sites based on availability.